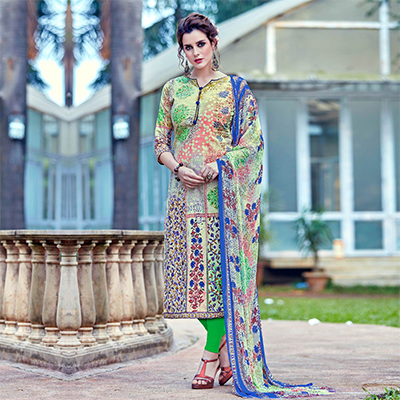 Get this multicolor - green dress to make your regular wear look more beautiful. 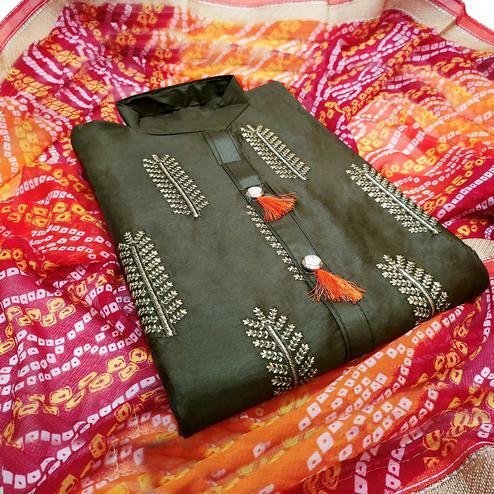 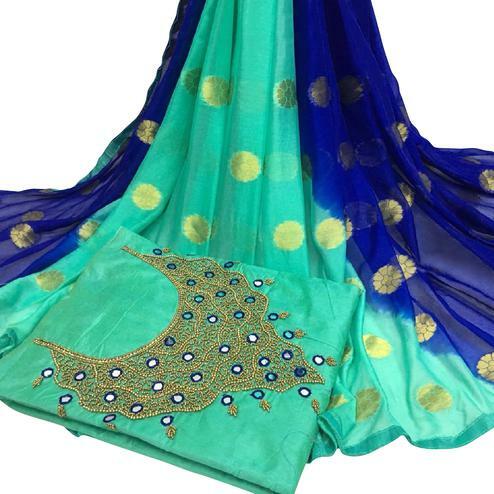 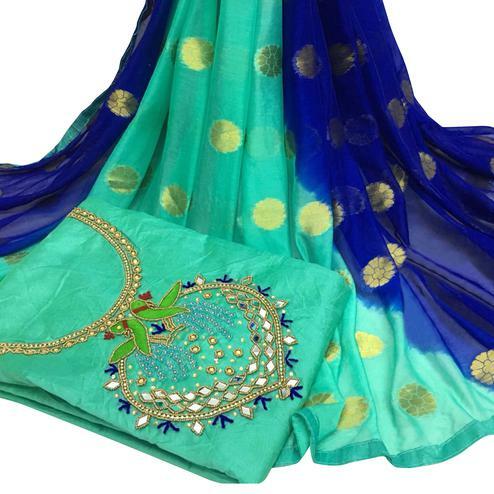 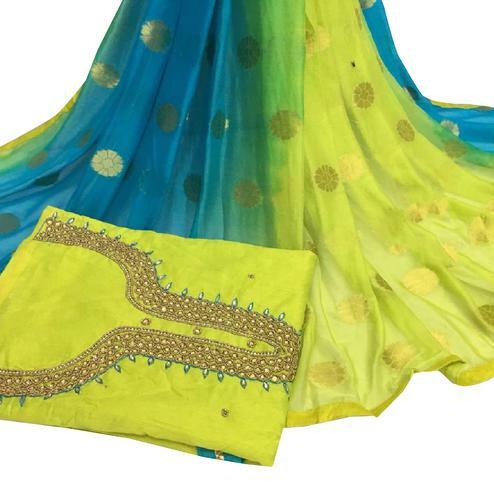 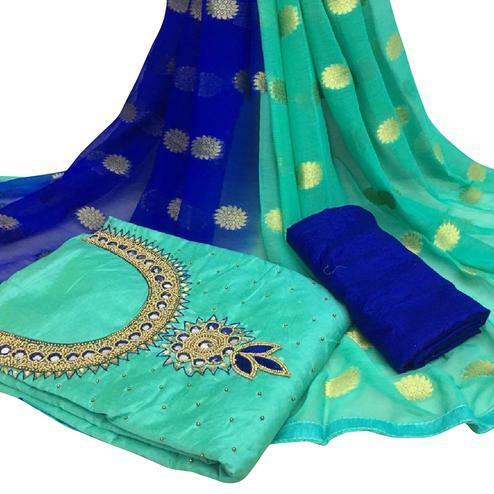 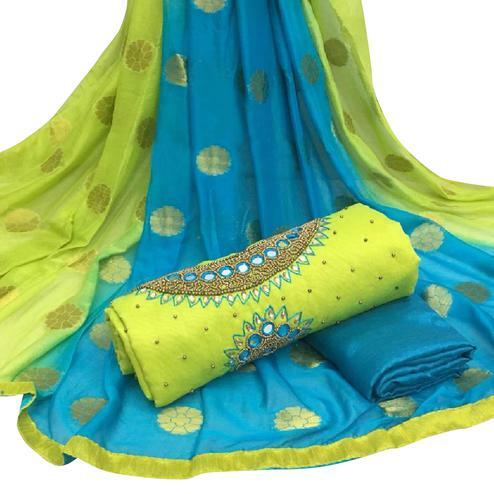 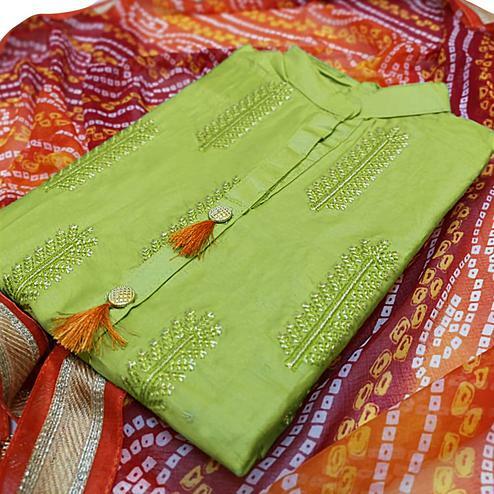 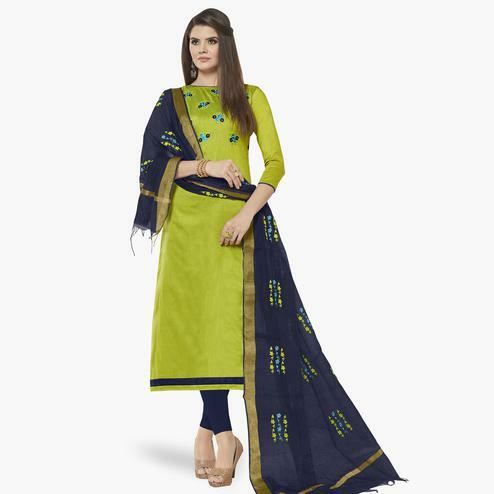 This semi stitched suit has got attractive color combination digital printed cotton cambric kameez, green color semi lawn fabric bottom and printed chiffon dupatta in shaded color. 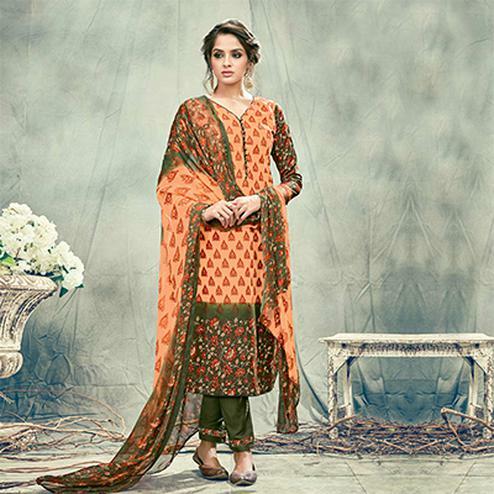 Once stitched, you can wear this outfit for casual and regular purpose.